Food. Wine & Drinks. Travel. Life. Sometimes I write about it. Today is a big day. First of all, it’s my birthday. 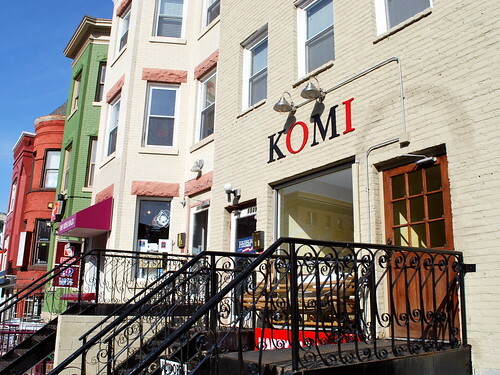 Second, and probably more importantly, I’m going to dinner at Komi tonight. Tonight! I’m so freakin excited! It’s quite hard to contain at the moment. My taste buds, stomach, and wallet are fully prepared. There really isn’t much more to say. And while it is my birthday, it’s also a shared day with a few others – Happy Birthday Dad, Andrew, and Rebbecca! And a few more coming up too – Stacy (tomorrow), Tonya (17th), Kate (18th), and Rose (19th). I hope everyone has a great birthday. Here are some links from the throughout the week to wrap up. Home-cured bacon is easy, according to Michael Ruhlman. And by the looks of his post, it’s not as hard as you might think. But what’s more exciting, I had a quick exchange with Ruhlman on Twitter after re-tweeting his original post, which was pretty cool since he’s one of my favorite food writers. 100 Ways to Cook a Pumpkin. I could drool over this post from Endless Simmer all day long. I do love me some pumpkin flavored food. Coalition of Immokalee Workers campaign wins surcharge from major grower. Great news for hard working tomato farm workers in Florida. This entry was posted in Miscellaneous and tagged Bacon, Birthday, Coalition of Immokalee Workers, Komi, Michael Ruhlman, Pumpkin Recipes by Justin. Bookmark the permalink. I’m pretty much fasting until tonight in order to keep my taste buds fresh. so, how was it? all that you hoped for? It was pretty much out of control amazing. I highly recommend going there at some point if you can. I should add an update to this post, but I’m not sure putting the meal into words would do it justice.